In today’s world, none of us can get by without a decent Cable TV subscription. What with all the daily (existential) pressures that one has to struggle with in life. All of us require some form of cheap and readily available entertainment to get by. And nothing, as we’re sure you know, quite compares with a quality service to get someone fed up with the world in the right mood! A good cable TV plan can equip you with the opportunity to watch your favorite Movies & TV Shows right within the cozy confines of your home. But with the wealth of companies currently on offer, it often becomes confusing to pick the most appropriate ones. COX and CenturyLink Cable services currently comprise two of the most well-known and consumer-approved TV subscription options in the country. Many potential subscribers are curious to learn more about these companies’ plans. And see where they differ from one another. So that they may arrive at an informed decision. And be enabled to differentiate the proverbial wheat from the chaff. In the digital sense of things! COX Communications basically offers only one standalone TV plan, called the COX Contour service. Popular local favorites A&E®, Discovery®, etc. For an additional price, plan subscribers can also gain additional premium channels content from the likes of HBO®, Cinemax®, STARZ®, and Showtime®. The PAK channels combo option and the Sports Passes are similar service provisions to the Premium Channels offer, and in like fashion, can be availed for some extra cost. To top things off, COX offers a novel Contour TV App with its basic TV subscription, which allows plan subscribers to take their onscreen sessions with them wherever they go – and on whichever (for the most part) device that they prefer. At a lower price range, and with a limited range of TV service features, is COX Contour Flex™ 2-in-1 bundle plan. Currently priced at $44.99/month (for Year 1). The Contour Flex plan, in contrast to the Contour TV package, has been primarily designed for mobile cellular devices. The CenturyLink TV Service is made up of its English and Spanish language TV plan variants – where the subscription services from both these categories include DIRECTV™ channels coverage. For the purposes of our analysis, we will only be considering the English language options. 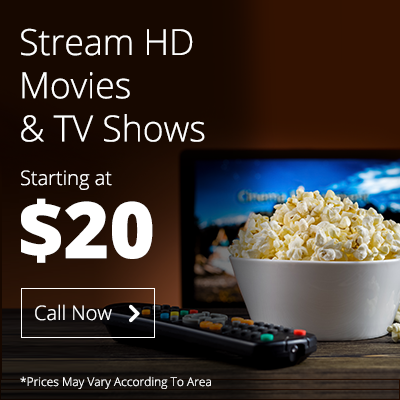 Currently, CenturyLink offers a total of 5 DIRECTV TV-enabled service plans, namely the SELECT™, ENTERTAINMENT, CHOICE™, XTRA & ULTIMATE packages – priced at $29.99, $34.99, $39.99, $44.99 and $49.99 per month respectively (for Year 1). Fan-favorite premium channels Like HBO®, Showtime®, Cinemax®, and STARZ® etc. HBO®, Showtime®, Cinemax®, and STARZ® etc. The Premium Channels offer, on all service plans, is free for the first three months. Lastly, all CenturyLink TV packages feature the DIRECTV TV App provision – thereby enabling plan subscribers to take their movie binging sessions on-the-go. Where Contour TV plan offers only 140 standard TV channels at $64.99/month, all of CenturyLink’s TV packages start with the minimum channel offering of over 145 local stations. CenturyLink’s ULTIMATE plan provides more than 240 TV channels, and simply costs $15 less than the COX plan. So in this contest, we have a clear winner: CenturyLink! Previous PostPrevious CenturyLink vs Comcast Internet: Which is the Better Service Option for Online Streaming & Gaming? Next PostNext Can I Use Time Warner Cable’s Hardware Equipment with Other Companies’ Services or Not?